It’s never too early, or too late, to prepare for winter. If there’s one thing you can rely on, it always comes around again. 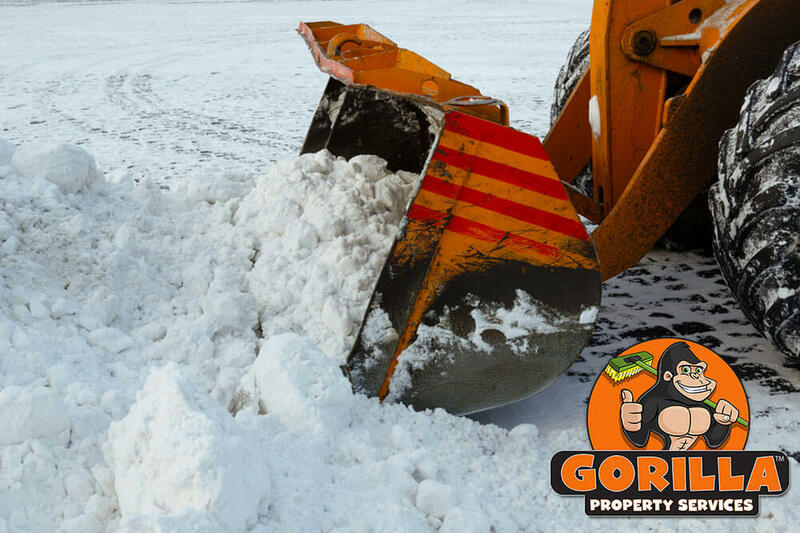 A call to Gorilla Property Services, any time of year, can make life that much easier for everyone concerned. We are now offering Penticton Snow Removal and Salting Services to our Co-Op and Strata clients exclusively. You can leave the late nights and early mornings to the professionals! 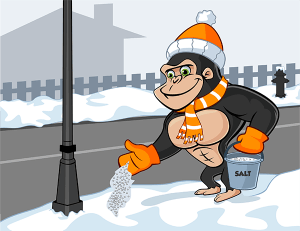 Gorillas commit to keeping your residents safe, all through the winter months. Typically, our programs start in December and run until March. Our first and main focus is salting. We make sure all exposed common areas, such as walkways, sidewalks, staircases and parkade entrances, are fully treated on the night prior to an expected drop in temperature. These are the places where slip and fall accidents are most likely to occur. Additionally, if this stage of the process is carried out properly and entirely, the likelihood of needing snow removal is reduced if the fall level is minimal. Should removal be necessary our Gorillas are on site quicker than you know it! Even in the early hours of the morning with shovels and snow-blowers in-hand. This way we can keep the noise level to a minimum so everyone gets a good night’s sleep. Furthermore, your residents wake up to safe exit and entrance to their homes and vehicles. As most of the work that comes with our Penticton Snow Removal and Salting Service occurs after the sun goes down and before it comes up, all our technicians are fully uniformed. That way, if someone happens to encounter a Gorilla in the dark, they are instantly recognizable.